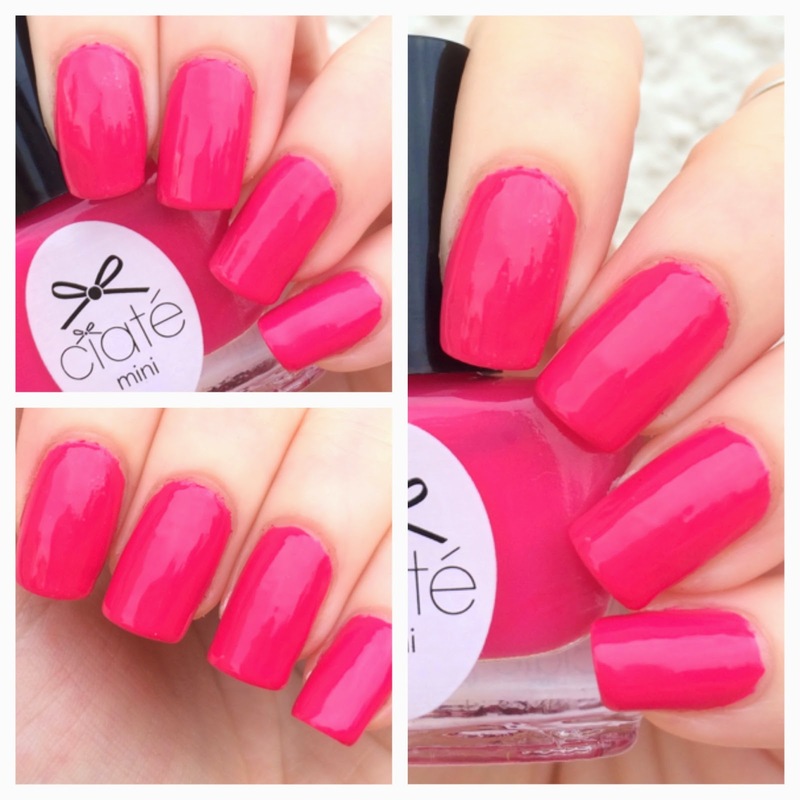 Two coats of Ciaté Paint Pot in Raspberry Collins. Fuchsia Creme. Raspberry Collins is not a shade that I would normally associate with a summer collection because it leans more berry than bubblegum; but somehow it works here given the pinky undertones. The formula was slightly strange on this one. Not difficult to work with; but you have to apply it very quickly or else it has a tendency to drag. Other than that, the consistency, like the color, is gorgeous! Follow me on Instagram @cateyesandskinnyjeans to see more of my favorite nail colors / art. Lovely!Such a crisp color! I'm wearing Maybeline's Color Show Pink Embrace. Lov'n the look! Gotta say I always have my NYC's New York Minute's Sidewalkers always on standby. Wow, it is a gorgeous shade! I love the bold look and would definitely wear it in the summer! Such a pretty and vibrant colour. It's made for the summer. Where has this colour been all my life, its sublime, love it love it!Thanks for stopping by, its always great reading your opinion! sorry it was a bit difficult to apply, but the final look is so cute. Nice color. It reminds me of a summer rose.